It may be the most important development in the world of commerce in a generation, and it’s almost here. Later this year, Samsung Galaxy S6 and S6 edge users in the United States and South Korea will receive a software update that makes the Samsung Pay app available. This will be an industry disruptor in the world of mobile payments because it will become easier than ever for users to make purchases using their mobile device. Unlike competing mobile payment systems, Samsung Pay will not make users wait for their favorite local stores to upgrade to Near Field Communication (NFC) point of sale systems. 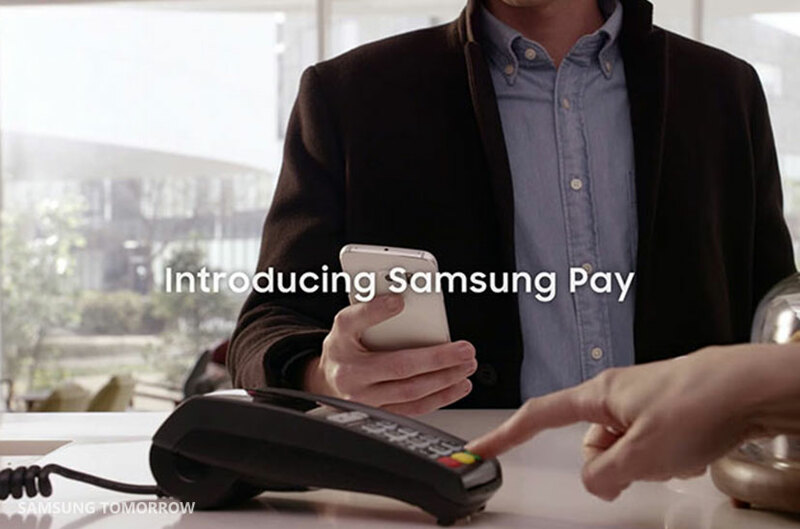 Samsung’s proprietary Magnetic Stripe Transmission (MST) technology turns any card reader on a point of sale system into a contactless payment receiver, meaning that Samsung Pay can work anywhere a credit or debit card is accepted. Since it is an acceptable form of payment at 90% of retailers in the U.S. (according to internal research), Samsung Pay will encourage more users than ever before to adopt mobile payments, signaling a shift in the way people pay for in-store purchases. The smooth user experience is a big part of Samsung Pay’s appeal, too. Samsung has partnered with MasterCard, Visa, Synchrony, as well as a growing number of banks and credit unions to offer debit, credit, and private label cards on Samsung Pay. At the cash register, users will pull up the Samsung Pay app by swiping upward, select a card, authenticate the their identity using a fingerprint, and then tap the device on the point of sale terminal. For traditional magnetic stripe readers, users will tap their phone on top of the card reader slot. The Magnetic Secure Transmission (MST) technology sends a signal to the card reader which emulates a physical card swipe. The process for NFC payments is virtually identical, with users simply required to tap their phone near the NFC receiver. In fact, the device will automatically detect what sort of terminal is being used and adjust accordingly. Users will be able to leave the physical cards at home and go out shopping with just their Samsung phone. The process is as quick and easy as paying with a credit card. In addition, users may be able to load other types of cards into their Samsung Pay digital wallets, such as gift cards and loyalty cards.